Last November, I mentioned an app that makes you look like you are wearing a makeup when you do a teleconference. Now Panasonic lets you take it a step further. A new mirror analyzes the skin on your face and prints out a makeup that you can apply directly to your face. When one sits in front of the computerized mirror, a camera and sensors start scanning the face to check the skin. It then shines a light to analyze reflection and absorption rates, find flaws like dark spots, wrinkles, and large pores, and offer tips on how to improve appearances. But this is when the real “magic” begins. 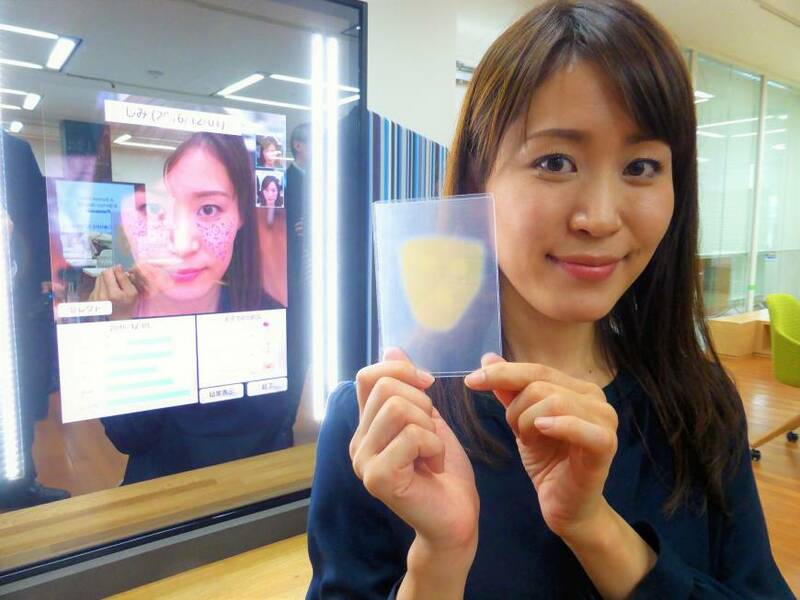 Tap print on the results screen and a special printer for the mirror churns out an ultrathin, 100-nanometer makeup-coated patch that is tailor-made for the person examined. The patch is made of a safe material often used for surgery so it can be directly applied to the face. Once the patch settles, it is barely noticeable and resists falling off unless sprayed with water. The technologies behind the patch involve Panasonic’s know-how in organic light-emitting diodes (OLED), Kawaguchi said. By using the company’s technology to spray OLED material precisely onto display substrates, the printer connected to the computerized mirror prints a makeup ink that is made of material similar to that used in foundation, she added. Read the full article by Shusuke Murai in the Japan Times News.